Bravehound dogs provide a life-long companionship to their owners, enabling veterans with post-traumatic stress disorder to lead a normal life. The dogs give their human partners confidence to break social isolation and engage with the world again, helping them to deal with flashbacks and provide a vital role in suicide prevention. Award presented by: PC Dave Wardell and his dog Finn (who was stabbed during a robbery and described as Britain’s bravest dog). Many thanks to Dr Rob Hewings who represented BRAVEHOUND at the awards ceremony. 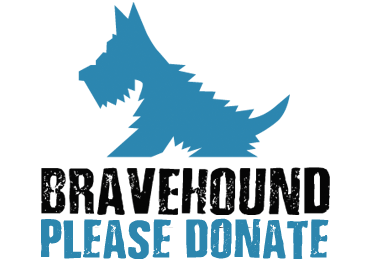 Fiona MacDonald, Founder and CEO of BRAVEHOUND said: “We are honoured to receive this prestigious award. It means so much to all of us at BRAVEHOUND that so many people voted for us. There were so many equally deserving finalists, and we’re just incredibly grateful. I would like to thank Pets at Home for their amazing support and the Soldiering on Team”. Sarah Woodward, Business Development Manager at Pets at Home said: “Pets at Home VIP Club celebrates the special bond between pets and their owners. We understand how important and influential a pet can be on an owner’s life as a valued member of the family. Pets at Home is proud to sponsorship the Animal Partnership Category in testimony to the positive impact pets have had on the lives of their exceptional owners and wider veteran community who they have helped”. 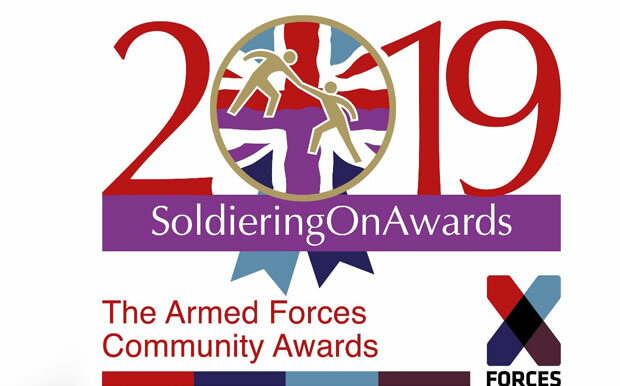 The Soldiering On Awards celebrate the achievements of the military community, by honouring serving and retired personnel, Veterans, their families and organisations that support the Armed Forces Community. The Award Ceremony at the Park Plaza, Westminster Bridge Hotel on April 5th was an outstanding event, hosted by TV personality Carol Vorderman MBE, who is an Honorary Group Captain in the RAF, and former Royal Marine JJ Chalmers.